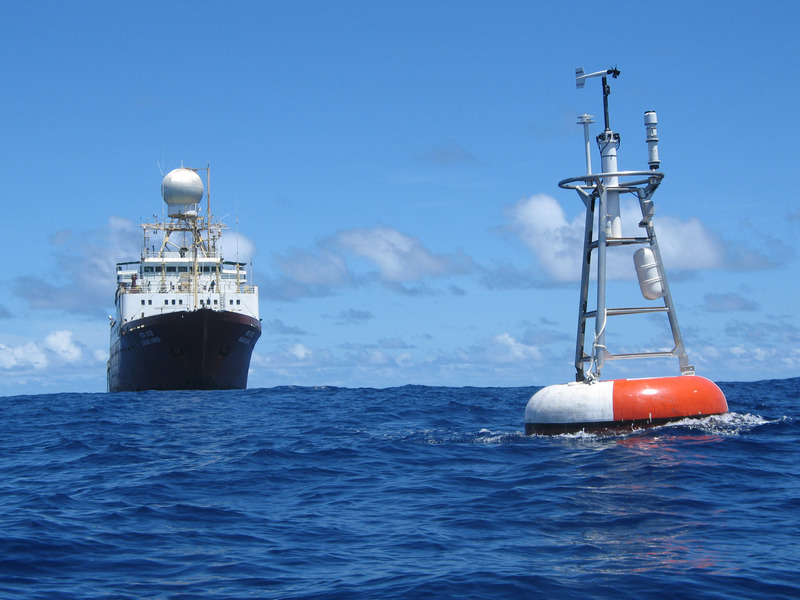 PMEL makes critical observations and conducts groundbreaking research to advance our knowledge of the global ocean and its interactions with the earth, atmosphere, ecosystems, and climate. Key research areas are encompassed by three research themes, Climate, Marine Ecosystem, and Oceans and Coastal Processes. PMEL's core values of integrity, excellence, and leadership have helped us combine scientific independence with strategic integration and societal relevance. NOAA's Ocean and Atmospheric Research (OAR) line office is charged with delivering information, products, and tools to meet the needs of the other NOAA Line Offices, the academic community, and a variety of other key stakeholders. A significant component of meeting this charge is to ensure the efficient transition of OAR’s research to applications or operations. NOAA defines a transition project as “The collective set of activities necessary to transfer a research result, or collection of research results, to operational status or to an information service." PMEL accomplishes this through the public dissemination of environmental measurements, release of its research through scientific publications and participation in scientific assessments. PMEL also develops innovative technologies and systems that are transitioned to operations or industry. For example, PMEL developed the DART (Deep-ocean Assessment and Reporting of Tsunamis) technology for directly measuring the tsunami waves in the ocean and using the real-time data to forecast the impact of the tsunami on coastal communities. The DART mooring technology was transitioned to SAIC where the moorings are sold commercially and the US DART array was transitioned to the National Data Buoy Center (NDBC) where it is operationally maintained.